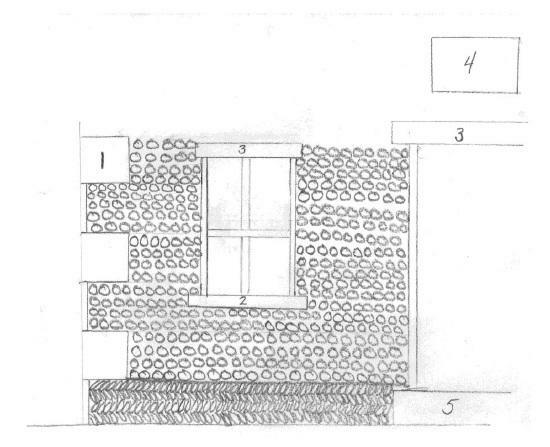 The drawing depicts cobblestone construction, and includes numbered areas defined in the online article referenced in Notes below. Title by contributor. Cobblestone Masonry, http://www.matthewrballard.com/cobblestone.html, see page 3 for illustration.